I came across this image on Pinterest this week and I just love it. The boy is definitely, no question about it the Left hand side of the brain. He is numbers and spreadsheets and those things excite him. 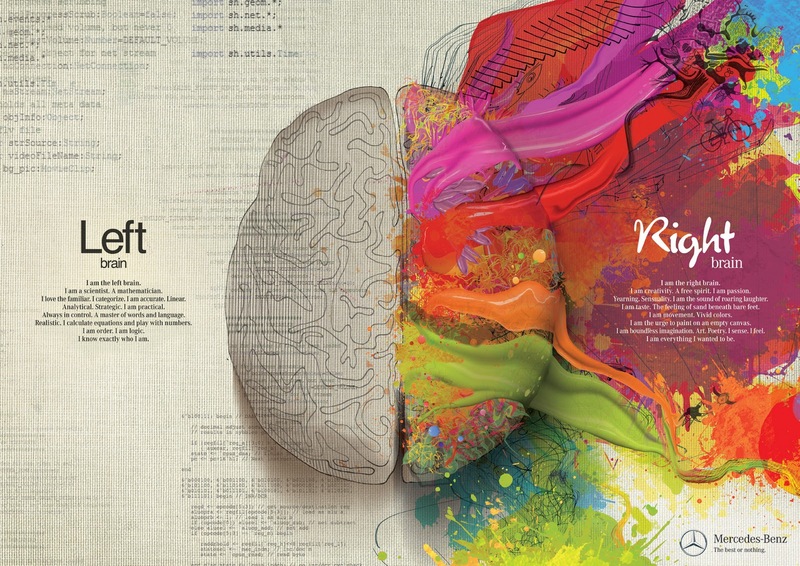 I would love to be fully on the Right hand side, mostly as I love the explosion of colour over there, but I think the geek in me pulls me to the left sometimes, as does my need to clean up. It's tough to say which side I really am. When I was younger, I used to draw and sing and act and sew and do crafty things, all very right-brained stuff. But then I grew up and decided to make a living in accounting. That beat the right brain tendencies right outta me. But I'm not happy about it.